We reported last year on Manchester City’s feature-packed Matchday app for iOS and Android. 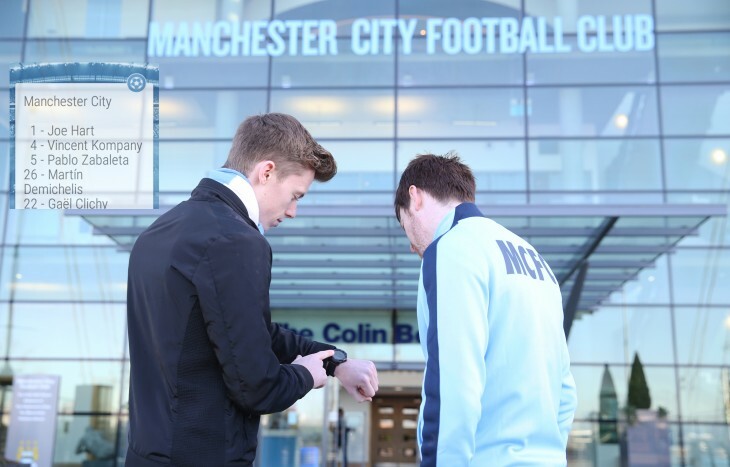 Now the Premier League champions have become the first club to bring that data to Android Wear. The CityMatchday Wear app will make its debut during tomorrow’s game against Hull City. It’ll notify users about key moments including team sheet announcements, goal alerts, penalties and red cards, as well as other commentary. Perhaps conscious that there may not be many Man City fans with an Android watch strapped to their wrist just yet, the club has given away four to members of its fans association.